If you're coming to Alaska, you should come to Homer. 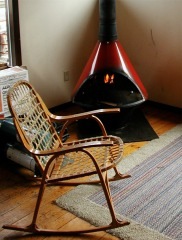 And if you're coming to Homer, you should stay with us! so we made our office a unique Alaskan aviation theme cabin. 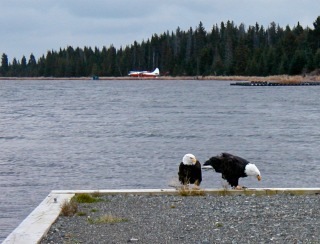 and you can watch the floatplanes takeoff and land right out front. 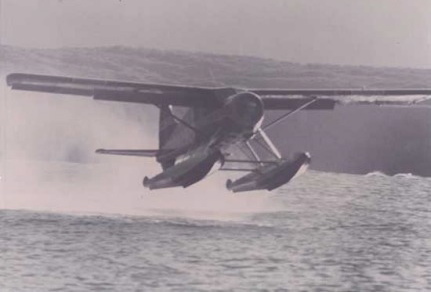 and we have room for more floatplanes if you fly in. 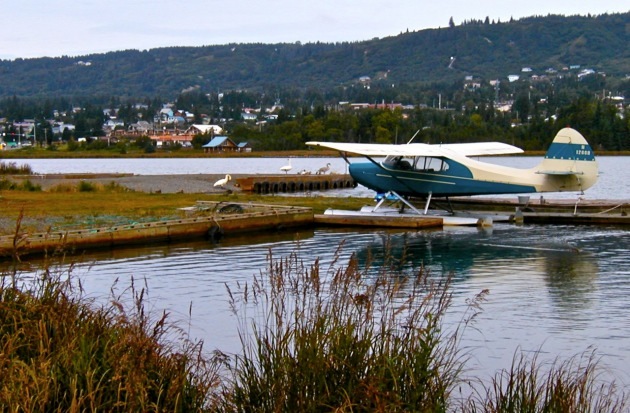 "Kachemak Air Service is really special." 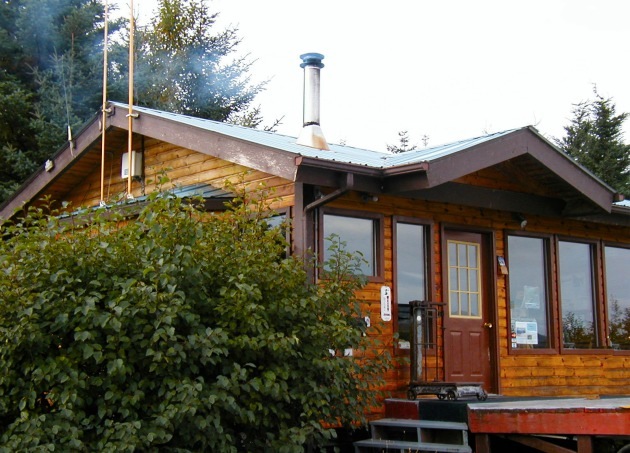 Lakeside Cabin is located between 'downtown' and the Homer Spit, one block plus a driveway from the main road, and two blocks from two restaurants. Accommodations include two queen-size beds in separate rooms, a small kitchen, and a nice new shower. 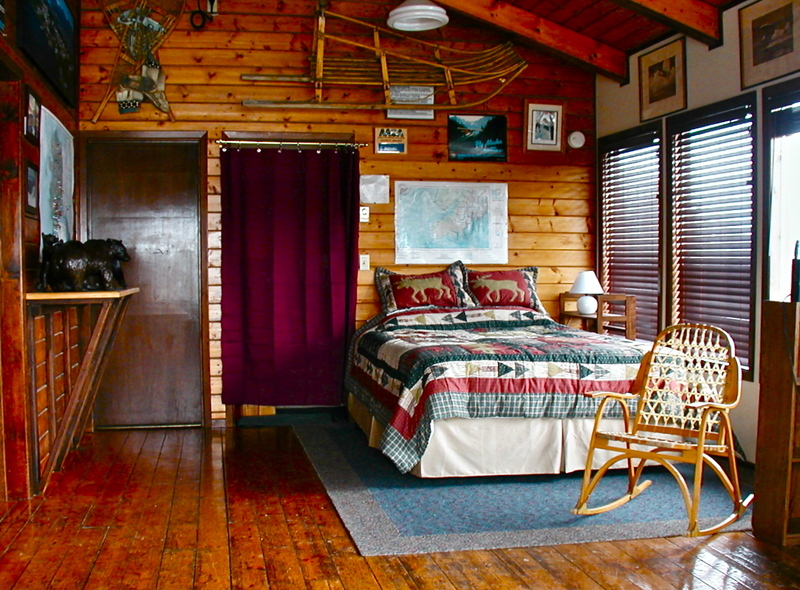 Rate is $149 per night, plus 7.5% sales tax ($30 additional if you use the second bed). You don't have to be a pilot to stay with us, but if you fly in with your own floatplane, you can tie up at our dock although you'll have to share with our neighbors. "Thank you for the help with our elderly dog. 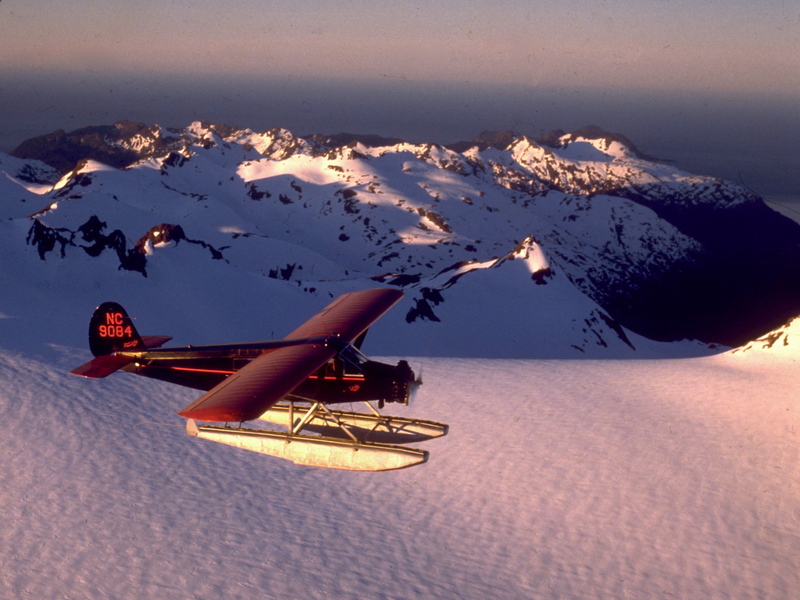 even he thought it was worth it"
We no longer offer Scenic Flights, but you can contact our son, next door,	if you desire a flight over the glaciers or need other air taxi services. 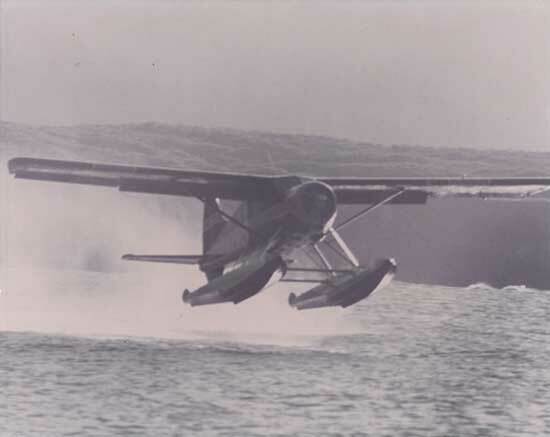 Bill sat in this de Havilland Otter for 24 years. (Click image to enlarge) We owned the 1929 Travel Air from 1969 until we sold it in 2008. 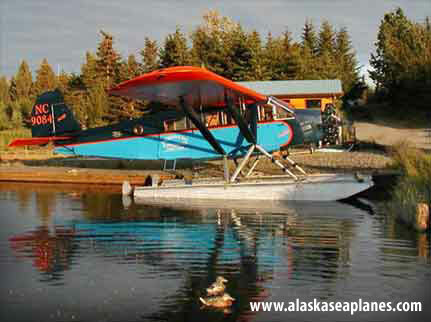 In 2002 we restored it and continued using it for our sightseeing trips over the glaciers. 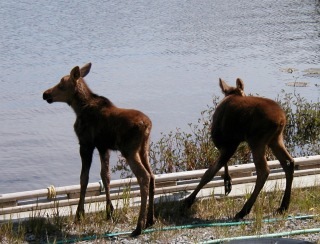 Now we're retired, and we offer our office at the lake as an overnight cabin.